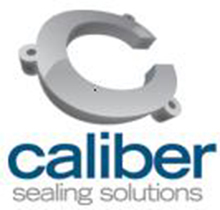 Our company founders first opened their doors in 1983 as a provider of sealing products, custom and standard gaskets, o-rings, and high pressure hoses. They also envisioned delivering unparalleled service to customers ranging from the Fortune 100 to Main Street. After 30 years of work, we have accomplished that goal. Our expanding list of clients include Boeing, General Electric, Johnson and Johnson, and Proctor and Gamble. And our product lineup is greater than ever. We have built sealing components for Aerospace, Water Regulation and Management, Water Purification, Commercial and Industrial Lighting, Automotive and Heavy-Duty Diesel, High Performance Automotive, the Pool and Spa industry, and Lawn and Garden care products. We regularly work with materials such as Nitrile, Neoprene, HNBR, EPDM, Viton®, Viton® ETP, Viton® GFLT, FKM, FFKM, PTFE and Santoprene™. Let us know if you have something in mind that's not on our list; customizing compounds to meet your requirements is always an option.